With many years of experience in the world of art, Ronnie is able to offer her expertise to artists who are in need of assistance. 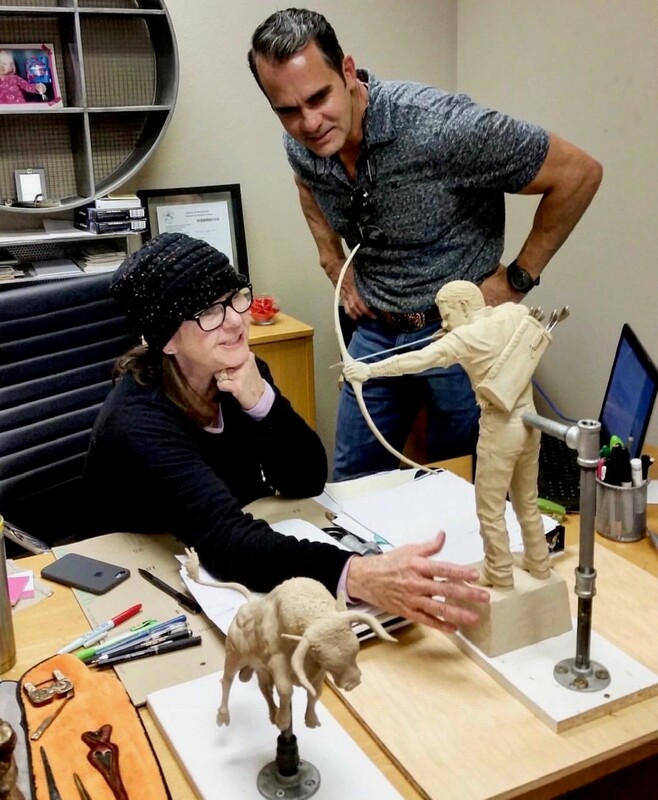 She has assisted both novice and highly experienced artists in many different areas in the sculpture process from conception of a piece to its completion. Artists who are not familiar with the foundry procedure may be advised to attend a weekend workshop where they will get a front row view of the foundry in action. However, most artists just need information in order to see if a bronze sculpture is a reasonable option for them. Many artists will ask Ronnie for a foundry financial bid prior to beginning the project, especially when it involves a commissioned piece. However, it is common for artists to bring their sculpture into the foundry for a bid. Experienced artists are aware that the foundry process is labor intensive involving many experienced hands including the price of raw bronze to bring the sculpture to the patina and mounting or installation stage—this entire process is reflected in the bid. Naturally large, complicated pieces receive a higher bid, as the mold process itself takes a great deal of time with the master mold maker. Ronnie can often offer advice to the artist at this stage in order to create a more affordable concept. Ronnie advises the artist who has been awarded a sculpture commission to consult with her prior to presenting a bid to their client. It is very important to incorporate the foundry cost into their overall bid. She has often assisted an artist when they presented their sculpture concept to a commission committee, where she may explain the overall foundry process and the timeline for completion of the piece. At each step in the foundry process, Ronnie is there to assist the artist when necessary, but especially with the final patina. Ronnie is a patineur herself, and she can help to transfer the artist’s color concept to the final piece to create the perfect work of art. She also is often asked to sign a bronze work for an artist with her beautiful calligraphy. Besides consulting with artists, Ronnie often consults with contractors and architects for commercial construction. For example, when the Barrel House Restaurant in Sausalito, California was being renovated in 2013, Ronnie assisted with the bronze straps across the ceiling giving the illusion of the inside of a wine barrel and the placement of her large, black, seal at the top of the staircase. Ronnie is available for consultation by appointment only. Call the foundry at (916) 929-5225 to schedule an appointment.